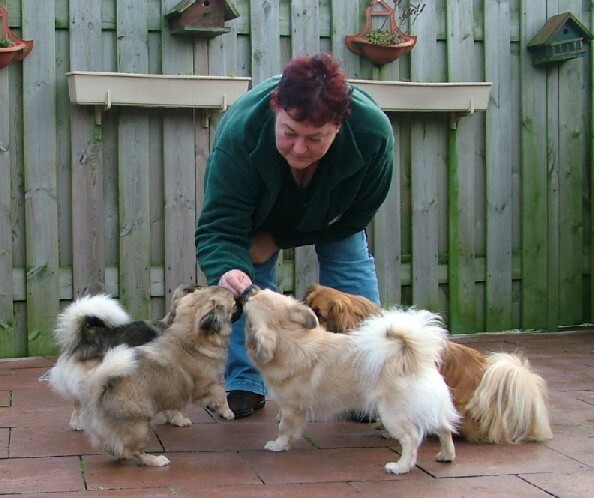 Allow me to introduce myself: I am Jeanneke van Hoof-Biemans, and together with my husband and our beloved dogs, I live in the beautiful village Chaam, near the city of Breda. Chaam is surrounded by acres of woods, which gives me the opportunity to go on wonderful walks with our Tibbies. Not that long ago, somewhere in 2002, me and my husband decided we wanted to add a dog to the family, and I started educating myself to find out which breed I liked best. 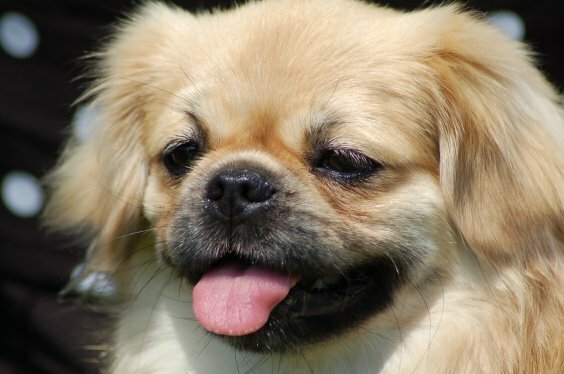 The Tibetan Spaniel captivated me, and when I met one 'in real life' I instantly fell in love. After thorough consideration, we chose a breeder and bought our first girl, our Lady Lin. I developed a true passion for the breed, and I started showing Lady Lin, which turned out to be a great success and lots of fun for both her and me. So we decided to add a second Tibbie to the family, our Dikyi....a wonderful little guy. By now, we've gathered a lovely little family, and you can meet all of them here on this site. We applied for a kennel name and all our homebred dogs can be recognized by their name, "Van 't Snijdershofke". Locals refer to our neighbourhood as "Snijders", so we thought it would be nice to add this to our kennel name as it represents the place our Tibbies are born. All our Tibetan Spaniels are tested for eye diseases, and Patellar Luxation. They also receive a general health check by our vet. For me, breeding healthy dogs is very important. After health, beauty and character are very important to me. I attend dog shows with many of my Tibbies, which I enjoy very much. You can follow our dog's show adventures by clicking on the following link: 'show'. All our pups have got a pedigree issued by the Dutch Raad van Beheer (FCI) . I hope you have fun looking through my website and meeting all of my dogs. If you would like more information about the breed, pups, or future nests, please contact me by phone or email (information can be found on the contact page).